I've since rebooted the iPad, it didn't occur to me until this morning... but have you guys seen this and is there some way I can just turn off background activity for it? 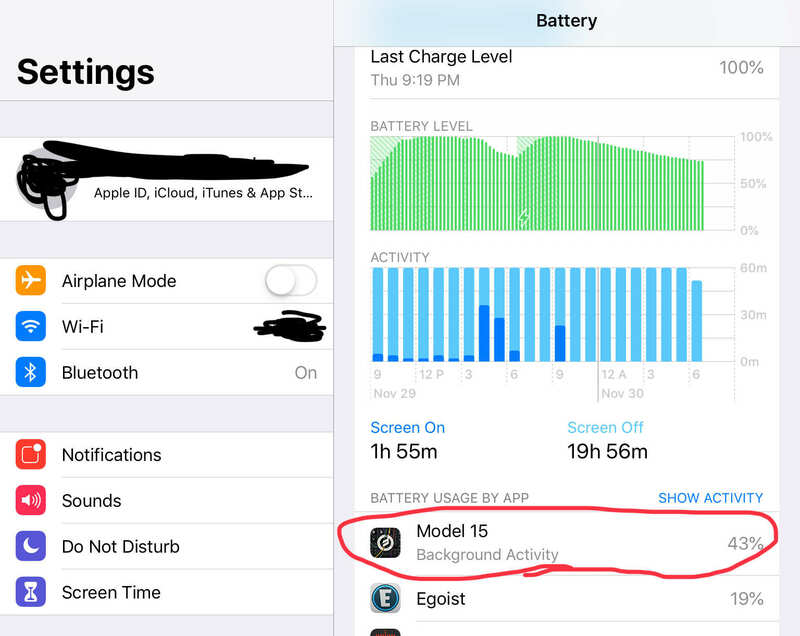 Thanks @blakkaz for the tip on Bram's good write up on battery life and iOS. I believe the issue is because I opened Model 15 as IAA in error while playing in ApeMatrix.... ended up dumping out the whole session when I was done but I'd bet the app was still running (in the background, as it says). Moral of the story? Reboot your devices and don't use IAA unless totally needed?